Federal whistleblowers will soon have new allies on Capitol Hill. Sen. Chuck Grassley, R-Iowa, announced Thursday he will create the Senate Whistleblower Caucus to ensure protections for federal employees exposing wrongdoing at their agencies are being enforced. Grassley, who co-sponsored the 1989 WPA and other measures to protect whistleblowers, added the caucus will facilitate a culture that respects an employee’s right to vocalize wrongdoing. Tom Devine, legal director at the Government Accountability Project, said now is the perfect time for a whistleblower caucus to form. The whistleblower advocate envisioned the caucus would not just provide oversight of existing laws, but also introduce and rally support for new measures. Devine agreed with Grassley that recent victories for whistleblowers “look good on paper but are not worth the paper they are written on,” if not properly enforced. Devine noted, however, outstanding issues such as the recent court decision to limit hundreds of thousands of federal employees’ appeal rights against firings or demotions, restoring whistleblower protections for contractors and those in the intelligence community, the trend of federal agencies harassing whistleblowers by launching criminal investigations against them and the establishment of whistleblower ombudsmen at each agency’s inspector general’s office as areas that require new congressional action. 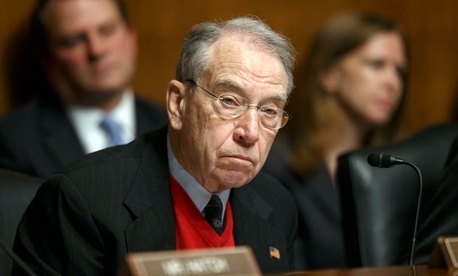 Grassley’s office said the senator will spend the next six months putting the caucus together. “Preliminary discussions” have yielded interest in joining the caucus from members of both parties, a spokeswoman said.